They had to wait two decades but the good ladies and gentlemen of the Left are finally guffawing with delight. At the end of the 1980s, when the Berlin Wall came down and the Soviet Union seemed ready to break up, most of us looked at the collapse of communism with bemusement. Was this really the end? Had the great edifice on which the principal conflicts of the post-war world been constructed really been demolished overnight? Certainly, it seemed that way. In country after country, communist parties were thrust aside as the people eagerly grasped consumerism instead. Even those countries that still claimed to be communist—China, for example—embraced the market with a determined enthusiasm. Socialist parties across Europe quickly changed course to follow more pro-market policies—the rise of New Labour in Britain in the 1990s was just one example of this trend. As communism fell into disrepute, the Left licked its wounds. It could hardly hold up poor bankrupt Cuba or mad old North Korea as examples of the people’s paradises that Karl Marx had desired. So, young people who would once have been drawn to the Left now flocked to other anti-establishment causes, with the environment being the most popular. As global capitalism faces its deepest crisis for nearly a full century, the Left is smiling again. Some old communists are even going so far as to suggest that the slide of many Western economies into recession is on par with the late-1980s collapse of communism. Our system may have failed, they are saying. But then, so has yours. Others, especially those in India, argue that the Left has saved us from the worst excesses of the market. Had it not been for the Communist Party of India (Marxist), or CPM, it is being said, Manmohan Singh and P. Chidambaram would have allowed foreign banks to buy up to 76% of our banks. And then, as the foreign banks failed, ours would have followed suit. I have been told: “All of you in the media cursed us when we opposed the Prime Minister’s enthusiasm for globalization, but actually we saved India." In fact, the communists add, the only reason we have not been sucked into a global depression is because the CPM protected the Indian economy from foreigners. The Left in India is more vocal than elsewhere but the same sort of idea crops up all over the world. Take the US presidential election. John McCain’s popularity bounced up after the Republican convention and he was actually a few points ahead of Barack Obama. Then, the economic meltdown occurred and America turned Left. 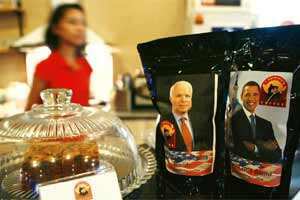 Anybody who was associated with the free market policies that had led to the current mess suddenly lost credibility and McCain’s popularity duly dipped, setting the stage for Obama’s victory. In England, Prime Minister Gordon Brown was regarded as a goner till the economic crisis hit. Then, the soaring popularity of David Cameron and his Conservative Party plateaued and Brits began to wonder whether it made sense to support the party of the free market when it was the free market that caused this crash. As a consequence, Brown’s ratings have gone up again. Is it the case that we are rediscovering virtues in the leftist ideologies we once discarded? Is capitalism in some kind of terminal decline? Will we now be suspicious of any political party that advocates free enterprise? My guess is that the Left is celebrating prematurely. In all that I have heard people say over the last month or so, I have not detected the slightest trace of any nostalgia for state ownership, a planned economy or any of the other policies associated with Marxism. As badly off as we are, nobody thinks we would be better off under communism. In India, the CPM is taking too much credit. Manmohan Singh has spent his life as a civil servant in regulation-minded administrations. He has seen the Indian economy from both sides, as the government’s chief economist in the licence-quota-permit raj era and as the finance minister who introduced the reforms. The measures he had suggested were never as dramatic as the Left makes out and even if they had been implemented, India would have been in no serious danger today. But it is foolish to deny that even if we have no nostalgia for socialism, people all over the world are more suspicious of the market today than at any time in the last three decades. However, this is not because they have given up on capitalism and want communism. Rather, it is because they have come to question two claims advanced for the free market. One: Were international markets ever really as free as marketers made out? All too often—and especially these days—it seems as though they were fixed to benefit the rich, the influential, the people with insider knowledge and those with contacts at the expense of the poor, the un-connected and those on the outside. And two: What constitutes a fair market anyway? We were told that companies were within their rights to sack employees in the interests of their shareholders because this is how capitalism works. But now, when shareholders face a loss of value—as in the case of the Wall Street banks—they quickly go running to the government asking for a bailout. Why is it okay for employees to be victims of market economics but not okay for shareholders to see the value of their assets destroyed by market economics? So pay no attention to the gloats of the Left; their laughter is hollow. But be sure of this: The old free market model is dead. And we need to construct a new one.